Black Ronin Bushido Pocket Knife | BUDK.com - Knives & Swords At The Lowest Prices! 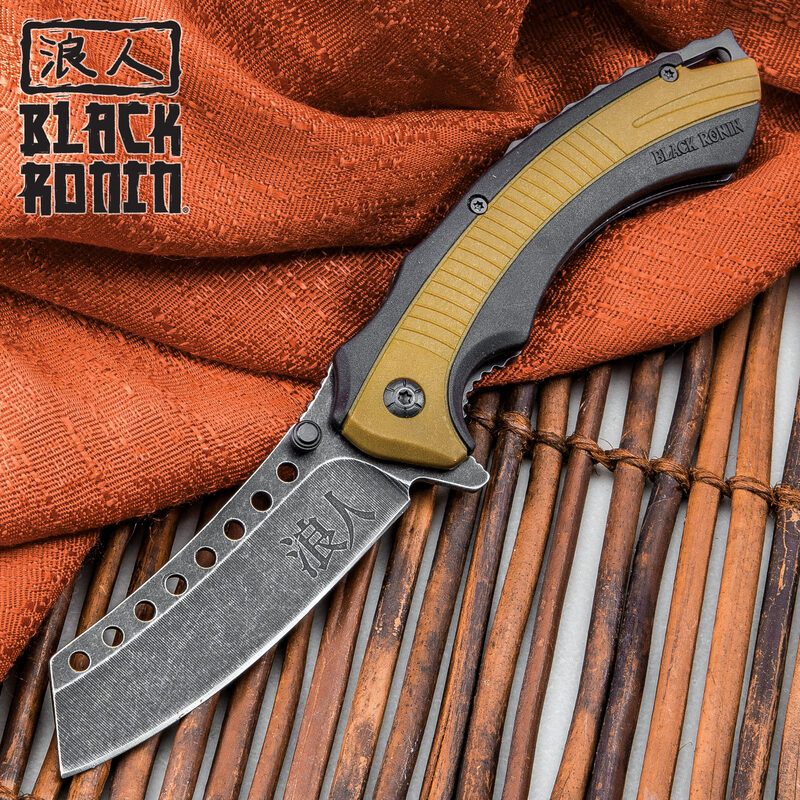 The Black Ronin Bushido Pocket Knife is what was missing from the Samurai’s daisho, the combination of katana and wakizashi he carried. 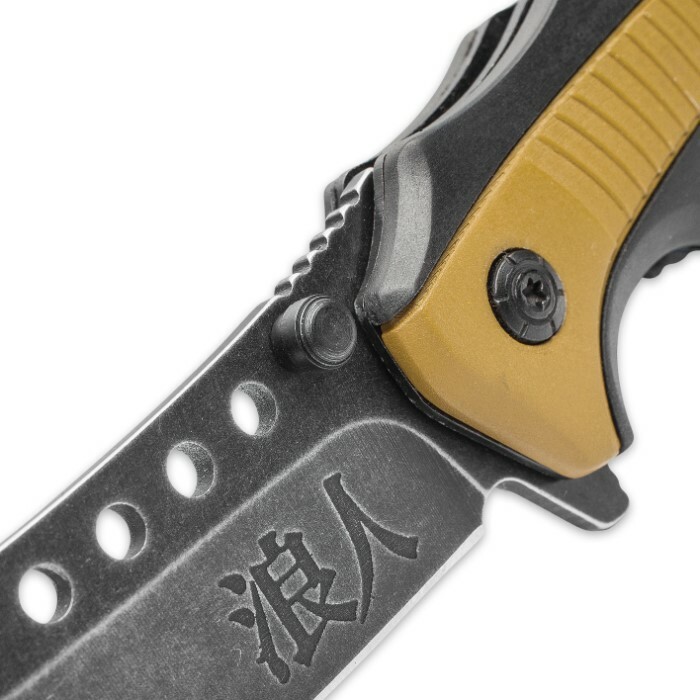 Perfectly designed and crafted, this pocket knife would have served the Japanese warrior well! The knife has a 3 1/4” stonewashed stainless steel blade, which features hanzi etched on the blade, and through holes along the spine. The double-injected plastic handle has TPR inserts and the blade can be quickly accessed with the assisted opening mechanism using the convenient thumbstud. A sturdy black metal pocket clip lets you take it anywhere. It's quick to open and feels good in the hand. Sturdy and crazy sharp too. All my Japanophile, Akira Kurosawa fantasies fulfilled in one pocket knife! 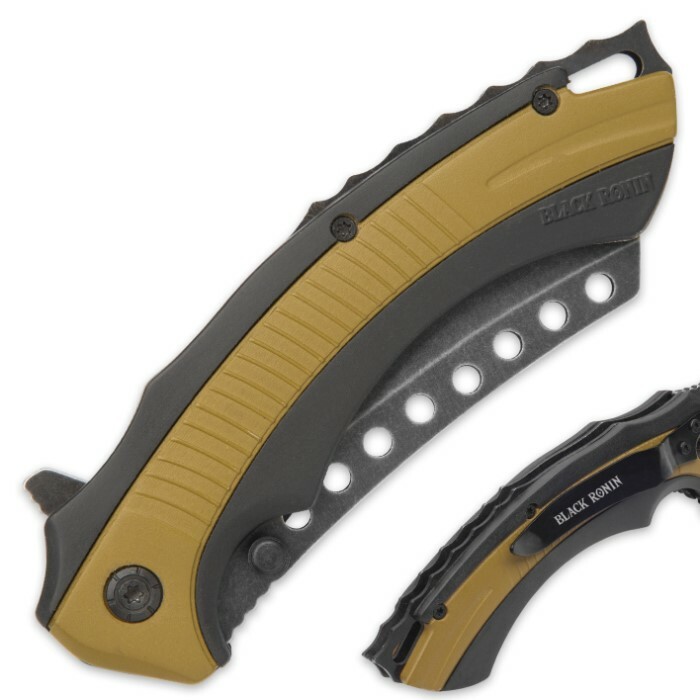 The inserts should be called khaki, not yellow, which is a good thing. Open assist works well enough via blade lever on back, which is good, because the thumb stud is in an awkward position and doesn't give much help in opening. Stonewashed finish has a nice effect downplaying the knife as not flashy, it keeps the overall design from looking too silly. Feels tight enough, I've had good luck with United Cutlery items. It is a great size for EDC, not to small or too bulky. Not sure how the rubbery part of the grip will weather with time, 4 stars for that and the awkward thumb stud placement. Other than that, this is a nice looking, fun knife. 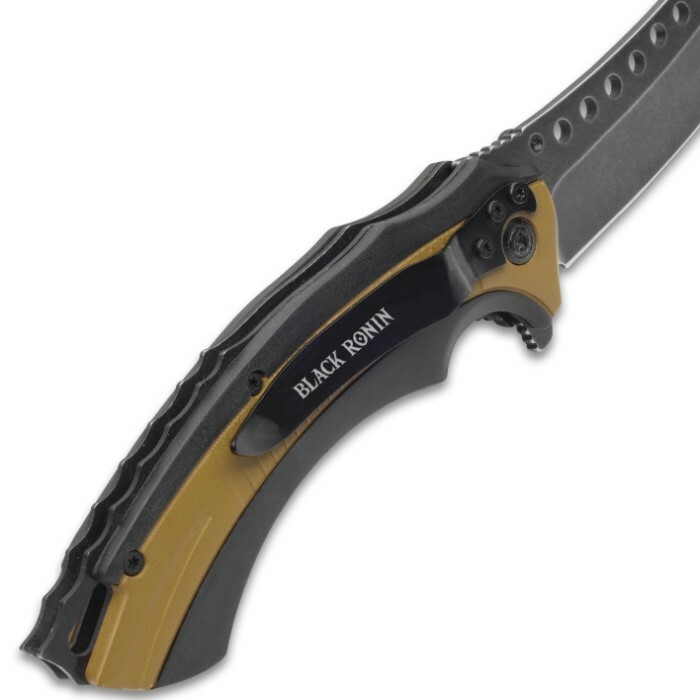 My fave is still my Smith & Wesson First Response Tactical Folding Knife with Drop Point Serrated Blade and G-10 Inlay Handle, glass breaker and seat belt cutter. 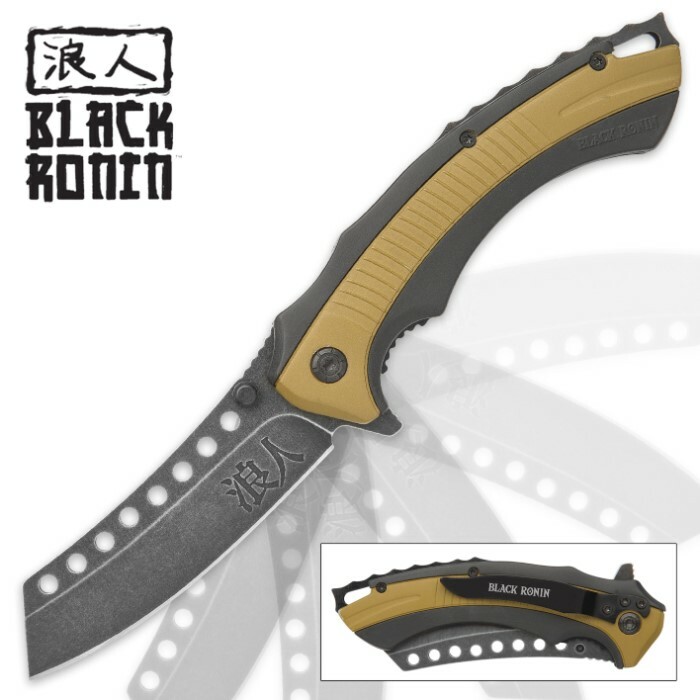 It is about ten bucks more than the Black Ronin Bushido, but definitely a 5 Star knife. The S&W is heavier though, and I like to break up my EDC between several knives, so the Bushido is a welcome addition to the rotation. Nice knife with a unique design. Love this knife! It feels great and it looks cool as hell!